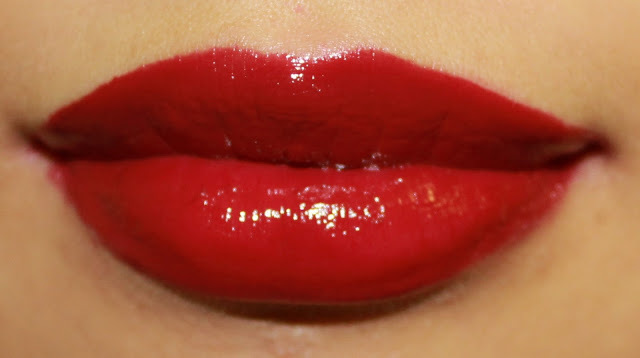 Before I started this post, I spent ages trying to figure out what’s wrong with the pictures because in the overview images the colour of this Rimmel Eclipse lip lacquer is sort of pinkish purple, but the swatch shows a red shade? I blame the bad lighting because it was very cloudy when I took the outdoor ones. And by the way, it’s not my Celestial one either because that one has chipped letters. So I’m equally confused as you are. As for this particular colour, I was looking for something with a more purple shade than red. However, believe it or not, the colour does look a lot darker and sexier without the flash/heavy light. In the picture above, Eclipse looks a little flashy red, but the colour tends more towards cherry under “evening light”. 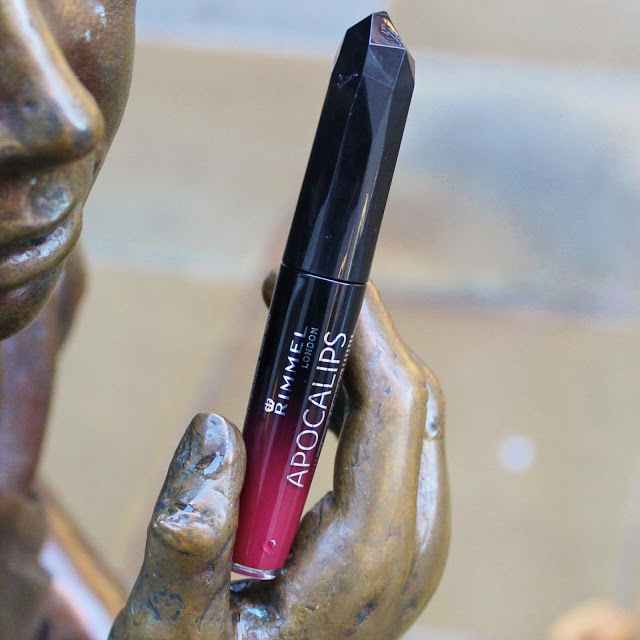 Other than the colour, my view on Rimmel Apocalips hasn’t changed since last time I review it. 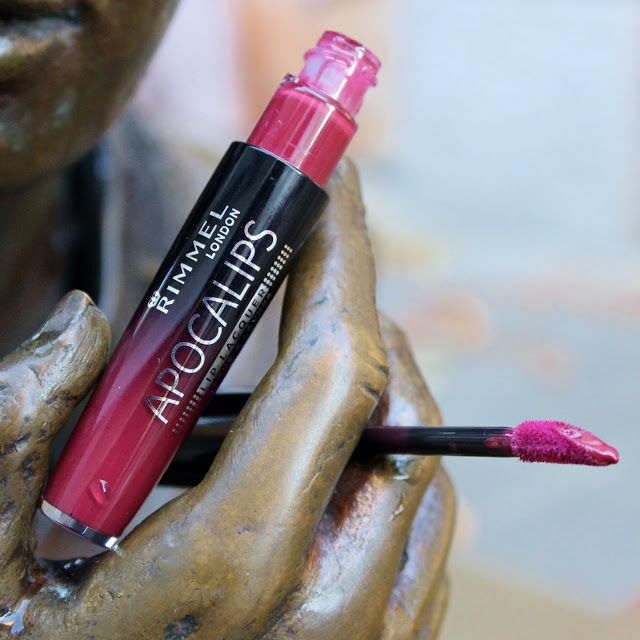 Rimmel Apocalips Eclipse has a strong scent of cherry blended with “lipstick”. As a follow up from last post, I can say that all the apocalips lip lacquers smell pretty much the same. I mentioned in my previous posts that I love innovation and this is definitely one of the more exciting products I’ve tried. The texture is very special because it’s too thick to be a lipgloss but too runny to be a lipstick. Lip paint/lacquer is definitely the right term because it’s got that strong and vibrant colour whilst having a texture similar to a lipgloss. The applicator, as shown in the images, helps to create a smooth finish with just the right amount of product. It moisturised my lips like a lipgloss without being too sticky, and it gave my lips a natural tint without showing how chapped it looked. The lasting time of this lipstick is average, a couple of hours, but it does create a faint long last red tint. In addition, I think the product design looks really classy as well. Overall I am very happy with Rimmel Apocalips in Celestial because it adds a beautiful colour to my lips whilst being moisturising.